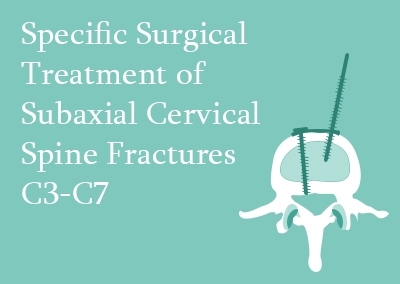 This knowledge package focuses on fractures of the cervical spine C3-C7. This course is 1 of 4 spine surgery knowledge packages in the Spine Trauma Specialist Certificate series. Course Structure: 6 online lectures in video format with English transcription, with pre and post learning assessments and additional learning materials. 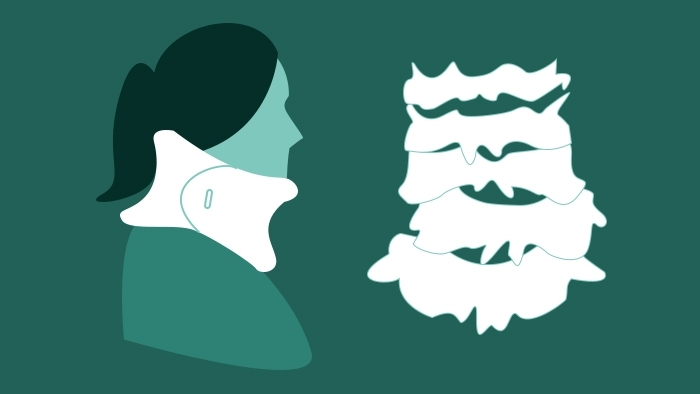 This spine surgery knowledge package focuses on fractures of the cervical spine C3-C7. 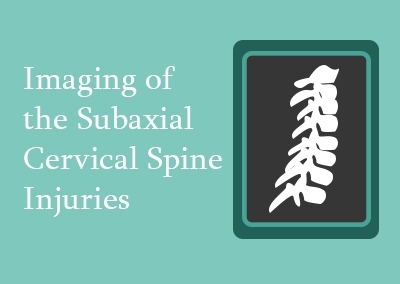 This course is 1 of 4 knowledge packages in the Spine Trauma series. It covers the epidemiology, pathmechanics, neurology, clinical presentation, imaging, classification, conservative and specific surgical treatment of trauma to the cervical spine C3-C7. It provides in-depth learning materials for your continuing medical education. 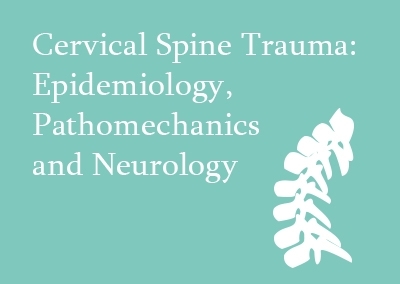 This lecture covers the epidemiology, pathomechanics and neurological deficits which occur in cervical spine trauma, beginning with a discussion of the epidemiology with the help of articles, followed by an explanation of the pathomechanics for axial spine and sub axial cervical spine with the help of force diagrams and imaging studies. Also discussed is the epidemiology of an entire spectrum of neurological deficit associated with cervical spine trauma, from normal neurology to complete cord transaction, in relation to age, gender, type of activity and overall population statistics. This lecture describes the various criteria which are followed worldwide for evaluation of cervical spine trauma, including the NEXUS and C Spine rules. The role of X-rays, CT Scan and MRI are discussed, along with the indications of each modality and unique features, with an explanation of their limitations and contraindications. This lecture concerns available imaging modalities and their application in subaxial cervical spine trauma. The assessment of minor trauma is explained with the help of flow charts. The X-rays are described in detail, with special emphasis on the lateral view, dynamic views and swimmer’s view. The role of CT is covered with detailed discussion on its indications and applications. Finally, the application of MRI in trauma, particularly its ability to pick soft tissue lesions, is explained. 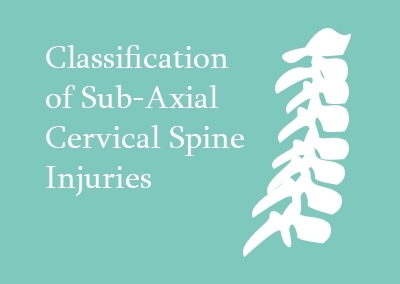 This lecture talks about the classification of the subaxial cervical spine. It begins with a look at the evolution of the classification of cervical spine, with references to the historical papers by Allen and Blauth, to the modern day concepts by AO and later, as updated by Vaccaro in 2015. The mechanisms involved in the injury of cervical spine are discussed in detail and the classical patterns produced are presented in clear diagrams along with the imaging studies to clarify the understanding. The Algorithm of classification and its various modifiers is also covered. 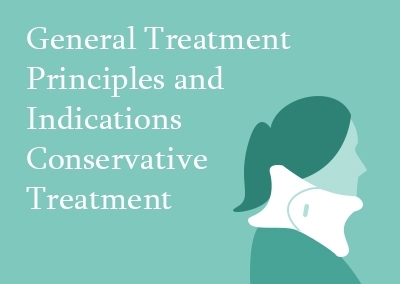 This lecture discusses the principles of conservative management, right from the time of injury to the hospital, where the decision is taken whether to abandon the conservative treatment or continue as a definitive management. The decision making process is illustrated with detailed algorithms. The conservative management modalities are discussed in detail, and the limitations and indications of definitive conservative management are discussed, with relevance to established clinical studies. This lecture focuses on the principles of the surgical treatment, and its application to the challenge presented by the clinical scenario of cervical spine trauma. Both surgical approaches are covered, with an explanation of the benefits which can be obtained from each. This is followed by a consideration of the stability which can be achieved by anterior constructs and posterior constructs, with reference to clinical literature and reports from biomechanical models. Finally, a scheme is suggested, based on the injury pattern, to ease the decision making. Q: What is an eccElearning Knowledge Package, and who are they for? A: Knowledge Packages are bundles of 3-6 Spine Lectures from the eccElearning Spine Surgery Education Programme. Each Lecture includes the Lecture Presentation, Additional Learning Resources, Pre-Learning Quiz and Lecture Assessment.  Each Lecture is viewed online in video format and lasts from 20-45 minutes. The Lectures contain relevant additional learning resources (book chapters, research papers, surgical videos, master lecture videos, case reports, review articles, etc. ), which are presented in context and viewable immediately for your convenience. Knowledge Packages are typically for Spine Fellows, Residents and experienced Spine Surgeons. Some Knowledge Packages are beneficial for other Medical or Non-Surgical Professionals, such as Radiologists or Physiotherapists. Knowledge Packages make up our Specialist Certificates, and Specialist Certificates make up our full Spine Surgery Diploma. Students can therefore work their way towards full qualifications in Spine Surgery in affordable chunks. Alternatively, Knowledge Packages are a great way for experienced Spine Surgeons to augment their knowledge with the most up-to-date education in specific spine topics. Q: What does a Knowledge Package include? A: Each Knowledge Package is a bundle of 3-6 Spine Lectures from the eccElearning Spine Surgery Education Programme. 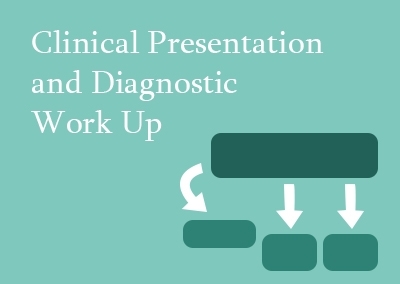 They contain all relevant Lecture Presentations, compulsory downloadable reference material (such as journal articles and book chapters), pre- and post- learning assessments and CME Credits. You will have access to all these materials for 12 months. Q: Who recognises the eccElearning Lectures and Packages? A: All eccElearning Lectures are CME accredited by the European Accreditation Council for Continuing Medical Education (EACCME), of the Union Européenne des Médecins Spécialistes (UEMS).  EACCME credits can be converted into an equivalent number of American Medical Association PRA Category 1 Credits, so you can be sure the qualification is recognised internationally. eccElearning is also endorsed by the European Spine Journal. A: There is no final exam for Knowledge Packages.  However, if you purchase all Knowledge Packages within a Specialist Certificate, you will need to complete a 1-hour multiple-choice question Examination to be awarded that Specialist Certificate. Q: Is there a time limit for completing a Knowledge Package? A: Yes, you have a study period of 12 Months to complete a Knowledge Package. However, a Knowledge Package is typically completed successfully by students within 2-3 weeks of starting. A: Yes. A free trial Lecture is available for you to review. Just register at www.eccelearning.com and navigate to Your Free Demo Lecture.